I know, I know – I wrote all this stuff about healthy eating just the other day. And macaroni and cheese is far from healthy eating. Everyone’s allowed a cheat day here and there and I didn’t eat it as my meal – it was a side dish along with some corn and black bean sloppy joes. 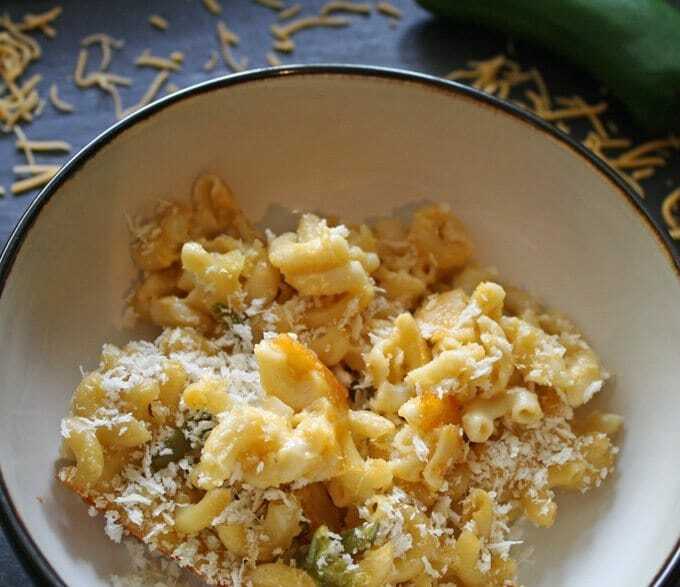 Mr. B and I got the idea to add jalapenos to macaroni and cheese while we drove around looking at houses for sale and finding new neighborhoods to live in (house hunting! even though we’re not quite ready to put down an offer anywhere). 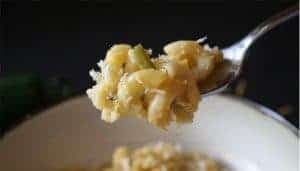 When we got home I found a basic macaroni and cheese recipe at thekitchen.com and went to work. I apologize now for all of the pictures on this post – I’m really enjoying my new camera and I had a blast taking pictures of this recipe. I have found some really great resources out there which I plan to share with you one day. I am working towards taking pictures that don’t need any photoshopping at all – I made a minor fix on each photo here and that’s all. Whoooo, I am excited and one day I’m gonna get good at this photo taking. Warm oven to 350 degrees. Pour 1 cup of the milk into a saucepan and begin warming over medium temperature. While warming, add the flour to the remaining milk and whisk together (no lumps). When steam tendrils form above the warming milk, add the milk/flour mixture to the saucepan and whisk together continuously until the milk thickens. Turn the heat to low and begin adding handfuls of cheese to the milk. Add all of the cheese and continue stirring. Add the salt, garlic powder, cumin and cayenne pepper. Stir until the cheese has melted and the sauce is nice and creamy. Add the jalapenos, stir and remove from heat. 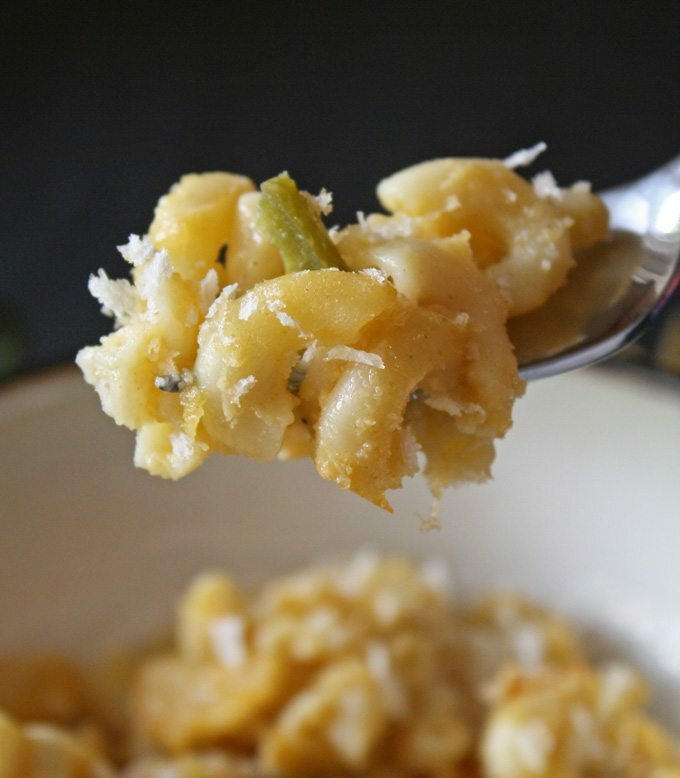 Add the cooked pasta to the cheese sauce. If your saucepan is large enough, you can use that, if not use a large mixing bowl. 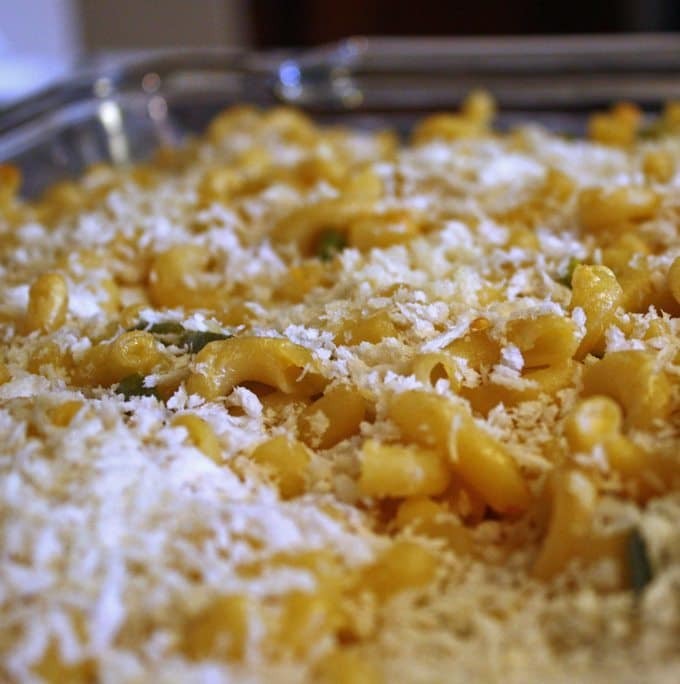 Pour the macaroni and cheese into a greased baking dish. 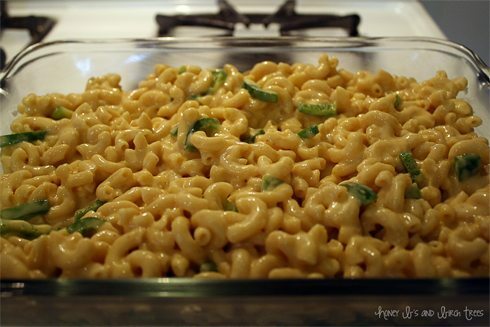 Cover with foil and bake in the oven for 30 minutes. Remove the foil covering, cover with breadcrumbs and pats of butter, and bake uncovered for an additional 15 minutes. 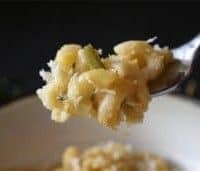 This is a pretty easy recipe and its pretty delicious. 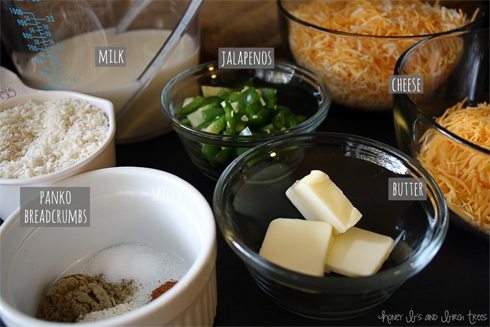 Cooking the jalapenos makes them lose a little bit of their heat – you can modify the amount of cayenne pepper or add another pepper if you want something a little more spicy.